This is a summary page of many of the local sites that are either maintained by the Skywacker Club, or are sites that are nearby and regularly flown by our Club. Most of the summaries will have links to take you to more detailed information about the site. Eagle Rock is a new site and perhaps the one being flown most often by Skywackers these days. 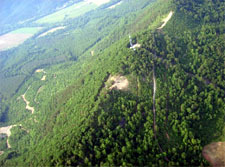 Located NW of Roanoke, the mountain has launches facing both SE and NW. Big Walker Mountain is the birthplace of the Skywackers. A 30 mile long NW facing ridge in beautiful country in South Western Virginia (near Pulaski/Dublin/Bland). Many long flights have begun here, which have ended as far away as New Castle and North Carolina. The Sky Retreat is located just off the Blue Ridge Parkway in North Carolina and is "the only adventure retreat offering a wide range of activities ranging from the ultimate rush of paragliding to the elegant art of ballroom dancing." 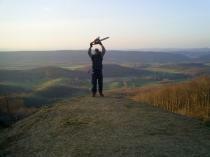 It is also a Paragliding site open to current pilots. 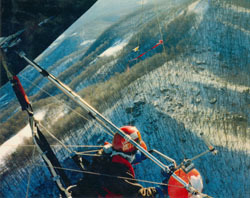 See http://theskyretreat.com/pilots/ for more information.